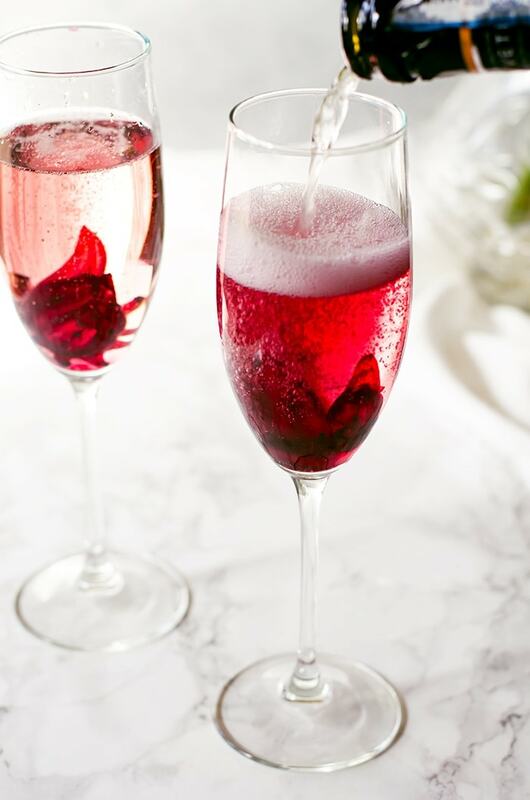 This hibiscus rose prosecco is an elegantly simple and visually stunning cocktail your guests will love. 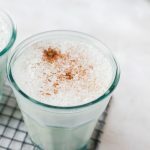 The delicate flavors and gorgeous hue embody everything wonderful about spring. 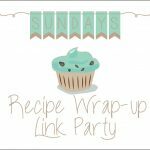 If you’ve been following the blog for a while, you know I love to host a good party. I love planning events for people. In another life, I think I could become a professional event planner. For my family, we usually have more events in the spring that builds up as the weather gets better. This year we have a lot to celebrate. I think I told you guys how my sister had her baby three months early already. We were just starting to plan my sister’s baby shower right before she had the baby. We will want to throw something so are doing a sort of a Welcome Baby Shower type of thing and I’ve demanded volunteered to do most of the planning. My sister is especially excited now that she can eat sushi again and have a couple of cocktails if she wants. I wanted to make something unique for her and I think this hibiscus rose prosecco cocktail is just that. What I love about this hibiscus rose prosecco cocktail is how beautiful it looks with the hibiscus. I used hibiscus in syrup because the syrup is basically concentrated hibiscus flavor which permeates the flavor throughout the cocktail better. The hibiscus in the syrup also opens up as soon as the >prosecco touches it for a stunning visual effect. I decided to add a touch of rosewater to enhance the floral aspect for spring and complement the hibiscus. 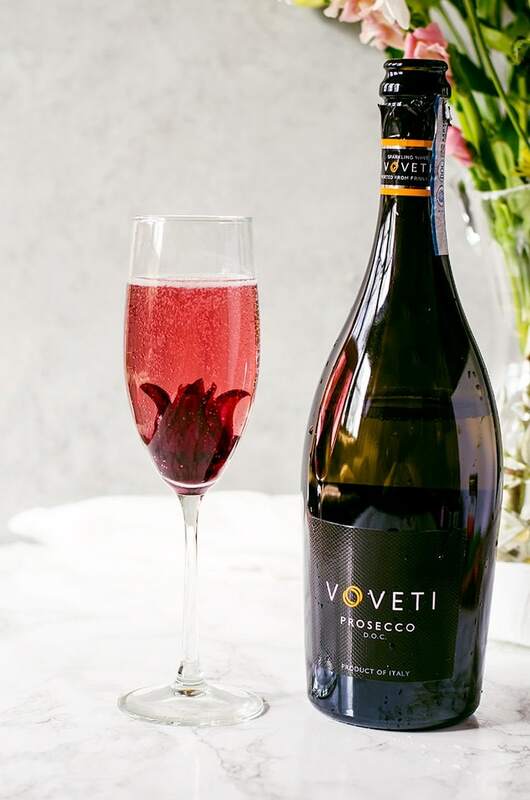 For the prosecco part of it, I decided to use one of my new favorite brands, VOVETI. After working with the Ferrer family’s own line of wine, I was eager to use VOVETI, their collaborative project with the Collavini family, and I was not disappointed. 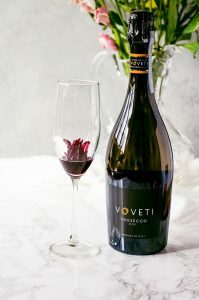 Ever since, VOVETI has become one of my favorites to drink at events. Fortunately, this prosecco also happens to be really affordable compared to other proseccos of this quality. 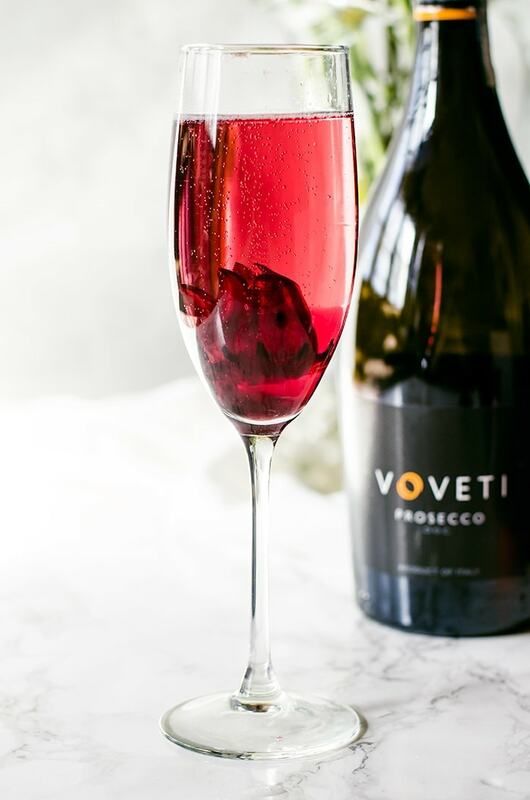 This hibiscus and rose prosecco cocktail is incredibly easy to make, but is incredibly delicious and stunning. The perfect combination for any springtime event! Add one hibiscus flower to each champagne glass. 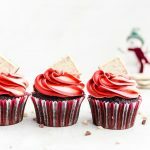 Over it, pour one tablespoon of the hibiscus syrup and ½ teaspoon of rosewater. 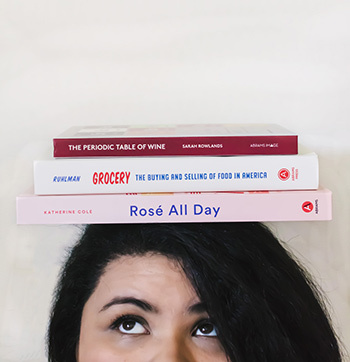 Pour the prosecco over the hibiscus. The bubbles will open up the flower and mix in the syrup and rosewater.